What does a pedograph of a person with hallux limitus look like? 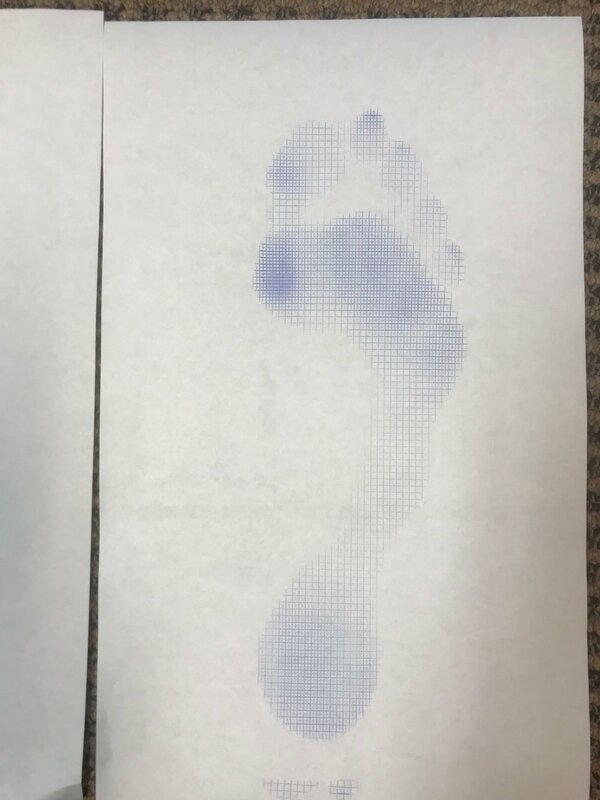 You would think that with hallux limitus there would be increased printing over the distal phalanx of great toe and possibly over the distal metatarsal as seen in the print of the right foot. This would make sense as if you have limited motion here and the pressure will be more forward. 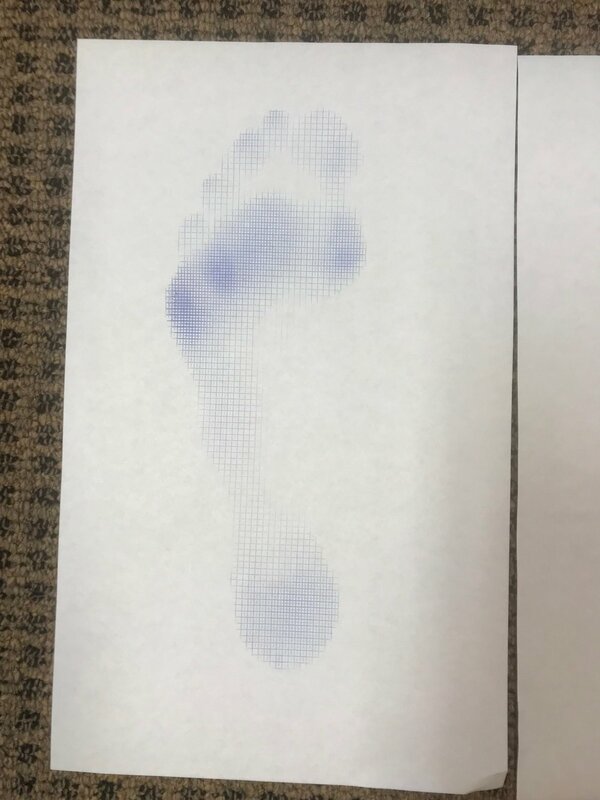 However, often times Hallux limitus is painful and the patient develops a compensation to NOT load the joint, as we see on the print of the left foot. We see the lack of printing under the first metatarsal head and increased printing laterally in the foot from avoidance of that joint. Also notice a slight increased printing in the right heel teardrop (hash marks are more filled in) and slight widening of it anteriorly. He has a right sided leg length discrepancy and we would normally expect an increased amount of pronation on the longer leg side, however because of the weight shift to the left we are seeing increased pronation on the right. Now, with this valgus moment of the right foot do you understand why the printing is so heavy under the first metatarsal and distal phalanx. Note also the increased printing at the distal phalanx of toes number two, three and five on the right hand side in an attempt to stabilize as his center of gravity shifts to the right.